Performance Auto Sound 509-766-0407 in Moses Lake installs auto audio systems, speakers, and all hardware for all types of boats, big and small. Our professional team will make sure your needs are met with perfect customer service. If you’re one of the lucky people who owns a boat, you know that the experience on the water is the main reason for owning it. The outdoors, the fresh air, fishing, jetskiing, water tubing, and parties on the water are all reasons to own a boat. But, once your on the water and the sun goes down, does the party have to go to the shore. No! Not if you have the right party music to keep on partying! This is why you need a marine audio system installed on your boat! Not only to entertain friends and family while out on the water, but to keep the party going long into the night hours. Coming to Performance Auto Sound in Moses Lake will be your best bet for the best marine service around. 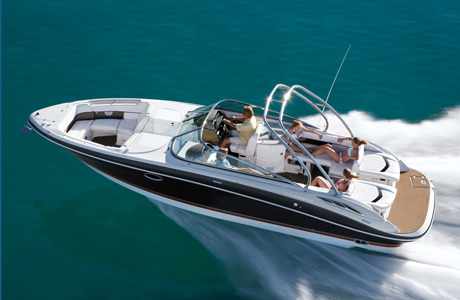 Having a boat stereo system is a wonderful addition to an already fun activity: boating. Owning a boat is a luxury all its own. You can take a boat out on the water for a nice day of quiet, peaceful fishing or relaxing . You can also use the boat for entertaining guests by providing a safe spot for swimming, tubing, water skiing, and wake-boarding. Having a music system on board only adds to the fun, providing the mood music for summer parties, graduations, birthdays, and small no-reason parties. However, boats need special types of stereos because they must be waterproof. At Performance Auto Sound in Moses Lake, Washington we carry the waterproof speakers you need for salt water, brackish water, and fresh water fun! Let us help you make your boat a better place to relax this summer. Bass Boats, pontoon boats, water Ski Boats and wave runners are all great candidates for any stereo or video system. 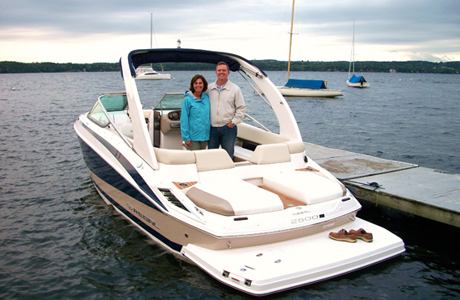 Our mobile stereo systems for boats are specialized for on-the-water fun. The speakers are waterproof and can sustain fresh, brackish, and salt water, so the sound will come out clear and crisp, even after years of usage on the high seas. Whether you want to have a small dance party on your home on the water or listen to some soft tunes while waiting for that fish on the end of the line, we can accommodate your boat needs. A navigation system is the most practical installation you can have on your boat. Most boats come equipped with a navigation system, but sometimes these are outdated or inefficient. Updating or installing a new navigation system will get you to the perfect fishing spot, best swimming hole, or out of a bind if you get lost. Having navigation is essential if you plan to travel down rivers or across large lakes. Performance Auto Sound in Moses Lake, Washington can help install your new navigation system in your boat and keep you on track while on the water. We carry the largest selection of marine electronics for your perusal. We know the ins and outs of our electronics and we love to answer our customers questions so that they leave understanding how their electronics work and how to car for them so they have a long life. We offer the newest technology at the best price. You can trust that any audio or video system installed by our professionals will out-perform the rest, both in sound quality and time!